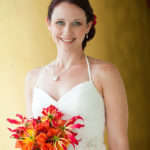 The Sheraton Keauhou Spa and Resort is a beautiful location for Kona wedding photography. They have beautiful grounds with palm trees, manicured lawns, and hawaiian plants and flowers. The ceremony site overlooked the ocean and the reception was by the ocean as well, shaded by plumeria trees. 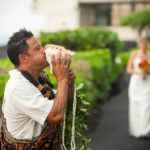 Hawaiian music played before the ceremony and at the reception.